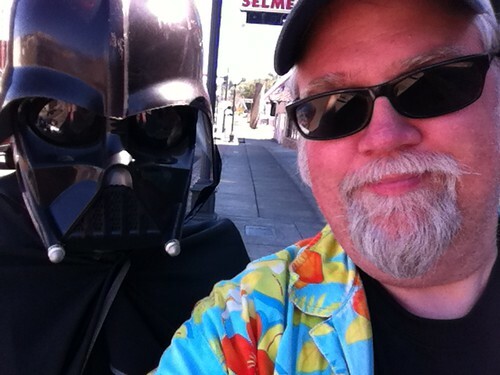 Self-portrait with a friend, Star Wars Shop in Aberdeen, WA. Hey Darth! Who's your friend? The bearded guy?